Camping near Hereford? Bring the family and the dog to The Plough At Little Dewchurch, a small and family-run B&B, pub, restaurant and campsite in the heart of Herefordshire with lovely views, and within day trip distance of some of the best attractions locally. 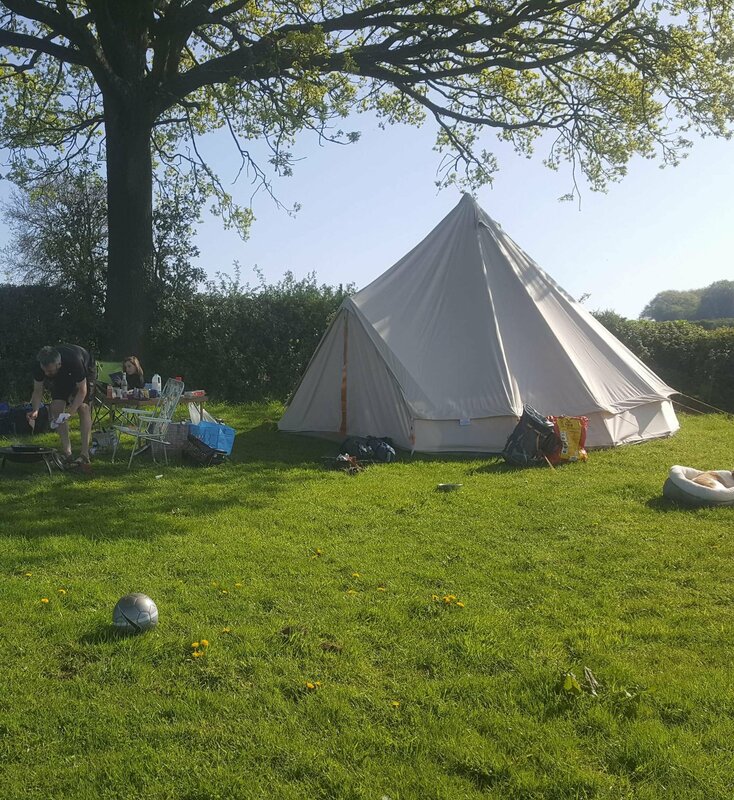 We offer a beautiful camping spot with views of the iconic Herefordshire countryside. You’ll have loads of space to pitch up and enjoy the wonderful rolling hills of the Golden Valley, and of course you’ll have our wonderful pub right next door! No campfires or alcohol permitted on the campsite due to strict planning regulations. Visit us in the charming Herefordshire countryside and take in views of the Golden Valley. The Plough Inn offers lovely rooms with charm and character and we also offer a beautiful camping spot. Come and visit us today.